Magnetic Clips, InfinitySeal Cushion Technology, Padded Headgear & Quick Release Elbow. 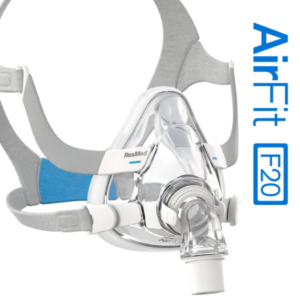 Open Visibility Mask DesignThe AirFit™ 20 Full Face mask covers the nose and mouth without the aid of a forehead support. Similar to wings, the frame spreads low beneath the eyes and rises high above the ears. At the ears, the mask frame connects to headgear which covers the circumference of the head with minimal fabric. 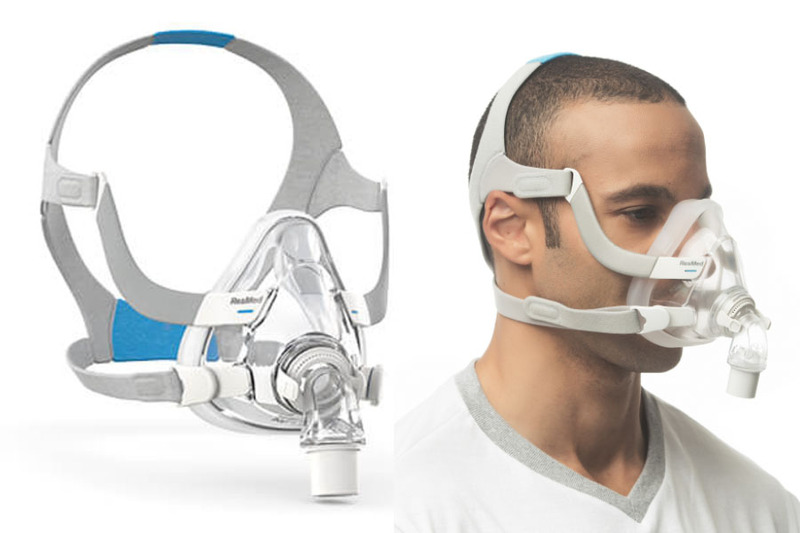 This design allows the mask and headgear to remain steady without an obstructive support bar. Those who are claustrophobic or enjoy reading and watching TV before falling asleep may enjoy the open range of visibility.